I wasn’t sure what to talk about for my comeback and then saw in the comments a reader from Italy asking me ideas on how to be stylish when pregnant. 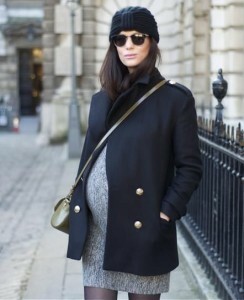 You are a rock gal, be a pregnant rock gal. You are a boyish girl? Then keep your jeans on. Ladylike? Keep dressing pretty, etc. The best way is to add an open top over you dress or T-shirt. Its vertical lines will structure your outfit. You can use a perfecto, a masculine blazer, a fluid jacket, a kimono, a cosy cardigan, etc. Its color should be different from the one underneath (black leather on black cotton works too though). Otherwise it won’t work. 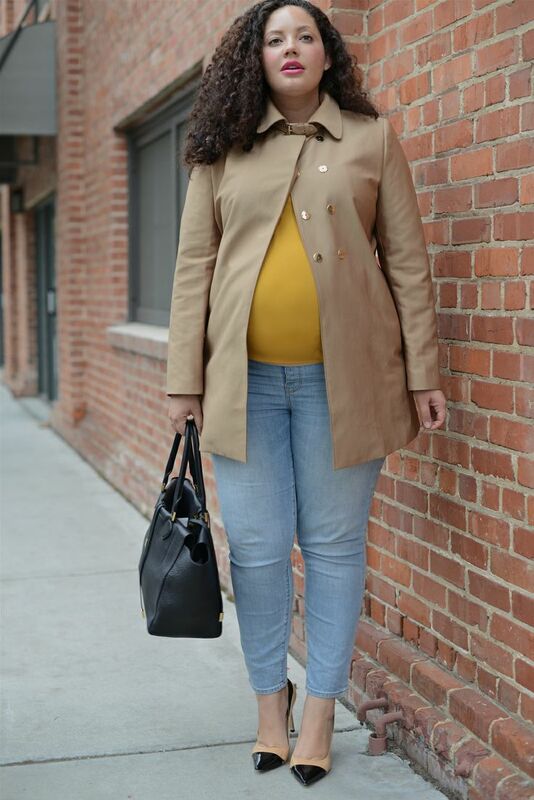 With your belly, your upper part can end up looking like a big block of the same color. Therefore accessories are a big plus to structure your look. A good way to add some structure in your outfit when it is too hot to wear any layer. It can be used at the beginning of your pregnancy to say “hey, yes I am indeed pregnant”. 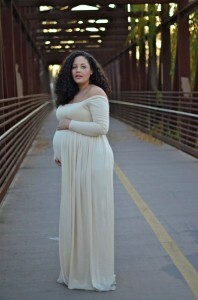 This super classic “I am a motherhood goddess” dress works because of the empire cut. It is more tricky because it will make your belly really stand out. But it is a good solution for those who like more rock looks. 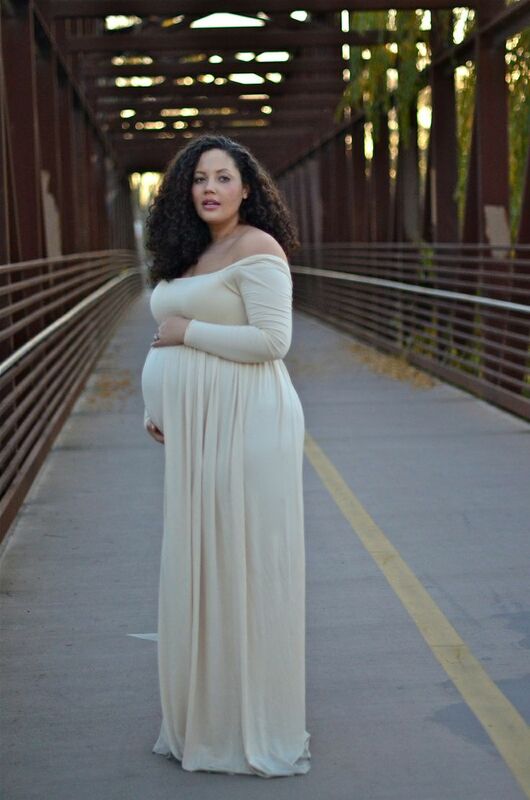 Bare legs, thighs, skinny (maternity) pants, it all works. Perfect to avoid looking like a tent when wearing a top/dress with undefined waist. Although be careful, if the dress IS too wide, you’ll still look like a tent, even if you are some famous model or if you wear some very expensive designer outfit. 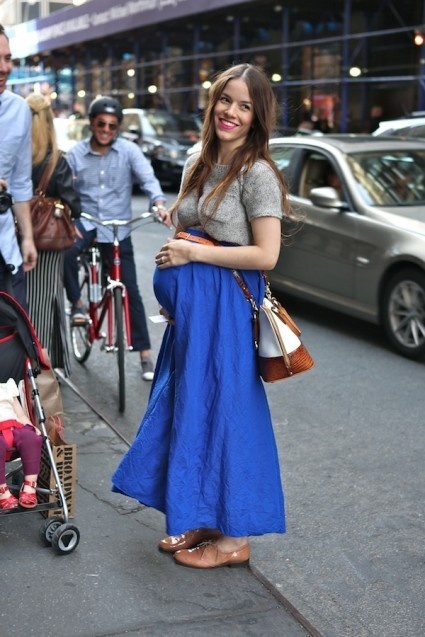 Hope you grabbed some ideas for your maternity style. Please share your own tips in the comments! Ce gilet chez Isabella Oliver : juste whouaa ! Mais impossible de le trouver sur leur site : tu l’a trouvé où ? Et il ne restait plus que du turquoise de toutes façons. Contente que le post t’ai plu! Ravis d’avoir découvert ton article depuis le post de balibulle. Que de bons conseils que je vais bien sûr appliquer. Comme quoi la grossesse n’est pas une fatalité. Ravie que le post te plaise! Merci pour cet article inspirant… Mais comment faire en hiver quand on est très très frileuse? MMmm, je vais devoir faire un edit!